Libyan National Army (LNA) sources have said they believe that Wissam Ben Hamid, the pre-eminent Benghazi terrorist leader, is holding out with the last of his men in buildings in the Sidi Akribesh area of Sabri. Ben Hamid was widely supposed to be dead. 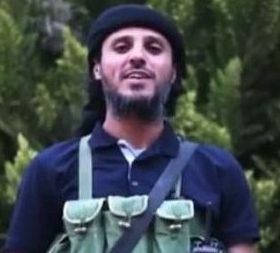 A captured Ansar Al-Sharia terrorist told his interrogators in January that Ben Hamid had been killed in an airstrike on Ganfouda and had not, as was suspected, been part of a mass breakout from the area during a power cut, in which 21 soldiers and police had been killed. The mopping up operation today in Sidi Akribesh’s network of streets and blind alleys has seen eleven militants surrender. It seems likely that one of those spoke of the presence on Ben Hamid with the remaining militants. Six others were detained during a search of Gumhoriya hospital where one militant was also killed. There have been no reports of any LNA casualties during what seem certain to be the closing hours of the Battle of Benghazi. However the troops are having to advance through an area which has reportedly been once again mined and strewn with boobytraps.